Here at The Hiroo Minegishi Ob/Gyn Clinic, we promote the health and well-being of women in a nurturing environment through supportive, compassionate and professional health care. We are committed to providing high quality services in Obstetrics and Gynecology. 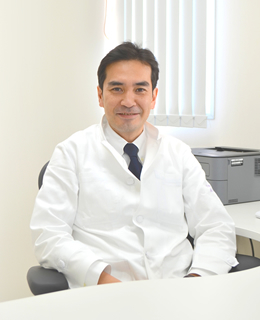 The director who worked as an assistant professor at Keio University School of Medicine is skilled and experienced particularly in the latest prenatal diagnosis. We have staff members who can assist services in English with fastidious care. Consultation and medical care are based on appointment system. Graduated from Keio University School of Medicine and obtained Ph.D. Board certified in obstetrics and gynecology. Member of International Society of Ultrasound in Obstetrics and Gynecology, International Society for Prenatal Diagnosis, Japan Society for Obstetrics and Gynecology, and Japan Society for Human Genetics. Our clinic is only a 1 minute walk from the Hiroo Station on Hibiya Line. We accept Japanese National Health Insurance and Social Insurance. Copyright(C) Minegishi Obstetrics & Gynecology Clinic All Rights Reserved.